5 star Air conditoners with top brands Carrier Midea, Sansui, Blue star, voltas and lloyd. You can see list of our Top 5 AC Brands in India below, perform Side-by-Side comparison. If you need further help, do have a look at Conzumr Guides and Tips. Alternatively you can view all Air Conditioner to choose your own favourites. This AC delivers faster cooling and comes with the latest eco-friendly R32 refrigerant, which has zero ozone depleting substances. 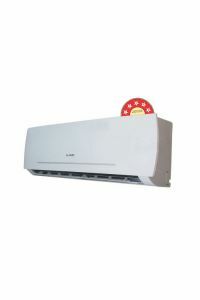 Long distance piping flexibility, of this AC, allows the outdoor unit to be placed far from the indoor unit. This adds to convenience and facilitates easy installation of the AC. To Recieve updates and possible rewards for Lloyd LS19A5CX please sign in. To Recieve updates and possible rewards for Air Conditioner please sign in.